I am not sure what we did before the days of Amazon Prime. I order so much from them, and I love the free two day shipping. Here is a round up of 10 items I have purchased this year. And, if you like what is in the image above - I have listed those at the end of the post. I buy this Ceylon cinnamon to put on my oatmeal. I cannot find it at my local grocery stores. It has health benefits, and is a "safer" option than the typical cinnamon. This toothbrush has been a game-changer. I love it. My teeth feel so much cleaner - and my dental hygienist even noticed the last time I had my teeth cleaned. The replacement heads can be a little pricey - but they last far longer than the typical toothbrush. This round barrel hairbrush has been my favorite hairbrush for many years; however, this past week I managed to break two of them. I always have a back up one - just in case. I ordered another one through Prime; however, they changed the design, and as I was using it, it put off this awful odor. So, at the moment I am wearing my hair curly until I get a new brush. I ordered these two brushes (this one and this one). Hopefully, one works. They are a little pricey - but they are supposed to work - and I don't plan to replace them anytime soon. It was time for a printer upgrade. I could no longer get a print driver when I updated my computer, so it was time to buy a new printer. So far, I love this printer. It has wireless printing - which makes life so much easier. My husband has been looking for a new replacement pillow. And, he loves these new pillows. They kind of remind me of the bed in a box. They come vacuum packaged. My husband has been looking for some new "fun" socks for work. He ordered these socks, and he is happy with them. They come as a pack of 5 - and have some fun color combinations. Hands down - my favorite hair spray. I have been using it for a few years. I love the smell of it. And, others notice it, too. It does not have an overpowering smell - just a light scent, and the hold of the spray is just right, too. Not too sticky - and the hair still has a little movement. I recently ordered this movie for my mom. It is a cute romantic Hallmark movie. You will enjoy it - but your husband probably would not. So, it's a girls' night movie or mother-daughter one. These are my favorite dried cherries. I am a picky dried fruit person - and these are just perfect! I order them all the time from Amazon - and have for years. I love to put them on my salads, or in my oatmeal, or we have even used them with pork dishes. As a snack, I have combined them with walnuts and chocolate chips. If you are like me, and loose hair when you shower, you might want to check out this drain cover. It has saved me from cleaning the drain - and it is so easy to use. This sweater with a flattering neckline for 40% off. These perfect wash jeans for almost 60% off. This sweatshirt for 40% off - in a pretty lilac color. This pretty lacy dress in a soft blush color. This popular suede jacket is 50% off. This striped jumpsuit with flutter sleeves is 40% off. This draped faux suede jacket is only $30. This pretty floral dress for $30. My favorite spring sweater is 40% off. This tie front striped shirt is 40% off. This perfect tee for $12. Love seeing what everyone buys on Amazon. I've heard good things about that hairspray and the texturizing spray from the same brand. The drain cover looks very useful, I'm going to show that to my husband! Lisa, it was so fun to see your purchases. That is my favorite kind of cinnamon. Thank you for the birthday wishes, hugs to you my friend! One of these days we are going to meet up again. 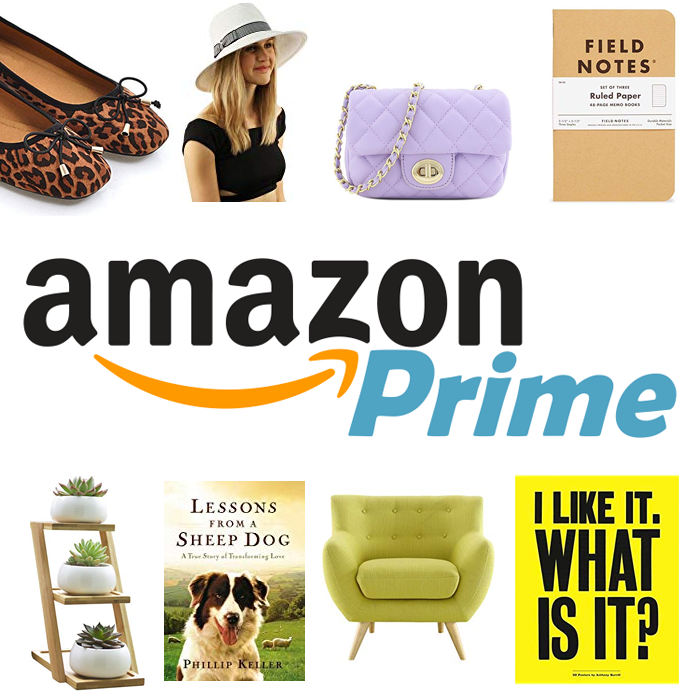 I am such a huge Amazon Prime fan- you can get almost everything there! This might be my fave post you have done- I love seeing into your world. In a non-creepy way.